This new stylish store was opened in spring 2010 in Prague, interior is by studio A1 Architects. 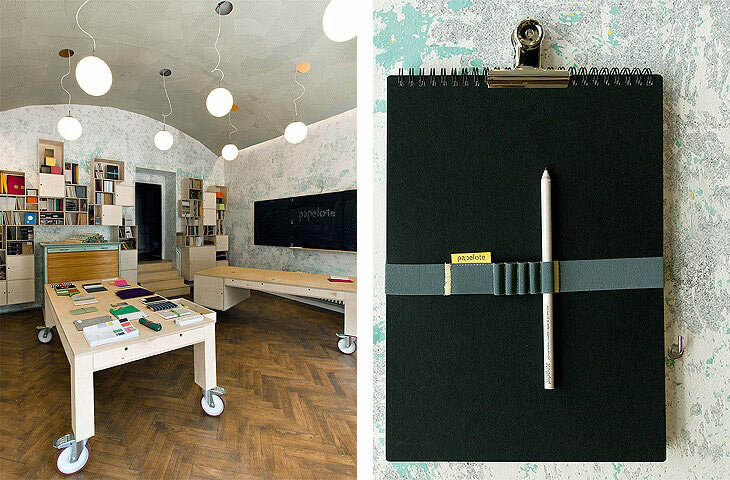 They are calling it "New Czech Paperstore" - and it deserves that name - it´s not just ordinry paper store but design store for hand made wrapping papers, pencil boxes, workbooks and much more. Their products are made using environment friendly natural materials and are great alternative for common mass produced paper products. I want to go there! Thank you so much for posting this. I"m a huge fan of your blog now!! Pattie: Yeah - it is hard to resist sometimes! 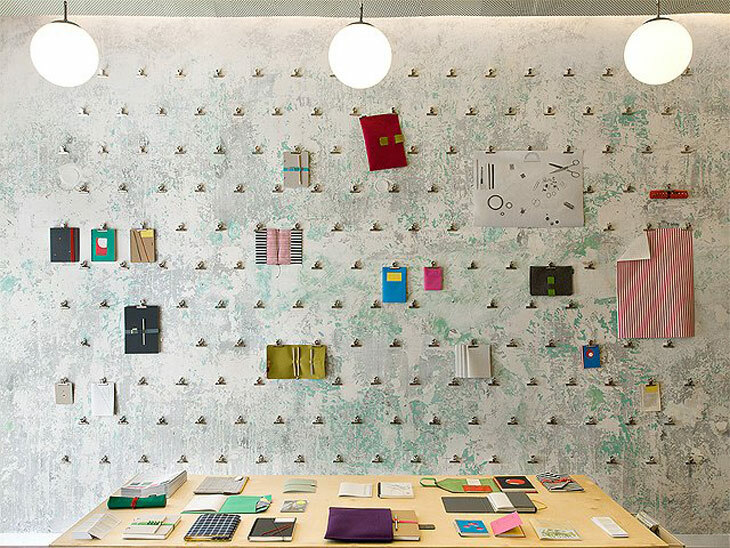 Awesome paperstore. Love the lamps.